When thinking of Vilnius it’s not quantity but quality that come to ones mind. This City has besides its historical surroundings a rhythm of culture no to be experienced many places elsewhere. 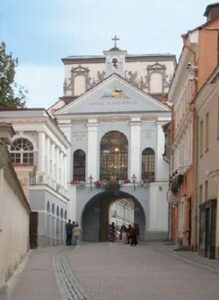 Approximately more than 1,000,000 tourists visited Vilnius last year and that for a good reason. Several festivities and happenings are taking place here every year, a lot of them quite unique. This charming city is still not over exploited meaning there are still many opportunities to exceptional experiences.